Psychology defines maturity as the "ability to respond to the environment in an appropriate manner". This kind of response is usually measured, stemming from everyday encounters of similar predicaments rather than an instinctive outburst. Bruner Jerome, an American psychologist, in his work Nature and Uses of Immaturity cites the example of a young animal to define the period of immaturity. A baby animal can spend a lot of time observing the action of others around it while trying to imitate the same, without due consequences. The current Indian cricket team batting lineup is one that has nearly eliminated immaturity. Even youngsters — supposedly immature and raw — who walk in to the team, have a certain kind of temperament reminiscent of their far more experienced counterparts. "Maturity comes with age. There are a lot of things that a coach can't do. There is a process of self-realisation and the person knows what is right for him. 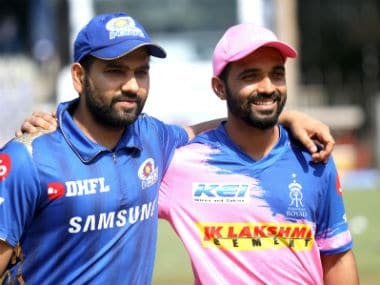 The transformation from a teenager to responsible young man just happens," said Indian captain Virat Kohli's coach, Rajkumar Sharma, whose role in the player’s transformation into one of the greatest modern day cricketers is immense. While maturity does come naturally with age, it can also be taught and nurtured. 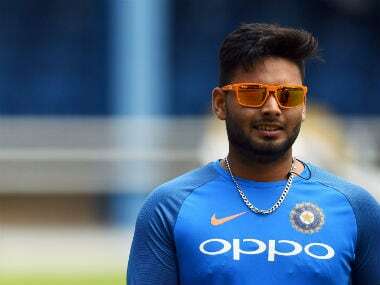 The young batsmen entering the Indian dressing room via one door seem to go out onto the field through the other rejuvenated with a dose of maturity and discipline. Whether it's Manish Pandey — the IPL’s first Indian centurion — or Hardik Pandya or even Kedar Jadhav, each of the new entrants in India's batting lineup have adapted to their roles exceptionally well. It's little wonder then that India are on the cusp of creating history with a 10th consecutive ODI win when they take on Australia at Bengaluru for the fourth ODI of the series. Since the disappointing Champions Trophy final in England, India have lost just one ODI, against the West Indies on a slow, low pitch in the Caribbean. They whitewashed Sri Lanka 5-0 and Australia are well on their way to receiving the same sort of treatment. The batsmen have played a stupendous role in India's meteoric rise in ODI cricket since the 2015 World Cup. Since the tournament, India have played 45 ODIs, winning 29 of them with a Win-Loss ratio of 1.933, second only to England. One might assume that three players in the Indian ODI team must have contributed the bulk of the runs — Virat Kohli, Rohit Sharma and Shikhar Dhawan. But while these batsmen have definitely fulfilled their duties well, others have also stepped up. There is a sense of understanding of roles within this Indian team. Whether it's switching batting positions or batting through an innings, one or more have put their hands up and shouldered responsibility. This is borne out of the kind of character instilled into them right from the time they first pull on the coveted Blue Jersey. Throwing away wickets is no longer entertained in this Indian lineup. Every player, from the flamboyant top-order batsman to the tailender is expected to show fight at the crease. This is evident in the manner in which Bhuvneshwar Kumar has emerged as a solid lower-order batsman in recent times. At one time, the Indian batting lineup seemed to start and end with Sachin Tendulkar. Now, even with a consistency king like Virat Kohli in the team, the batting isn't solely reliant on him. The others have stepped up every time India's Mr Dependable has failed to deliver. Consistency has been a huge keyword for the Indian batting lineup. Since the 2015 World Cup, they boast of 12 players with averages greater than 40 in One Day Internationals. Of those, seven have figured in more than a half number of matches India have played in. This virtually implies that India are able to field six-seven batsmen of immaculate consistency every time they play ODIs. Like Rahul Dravid puts it, "There is no such thing as a 'Natural Game'. It is only about how you play different situations." 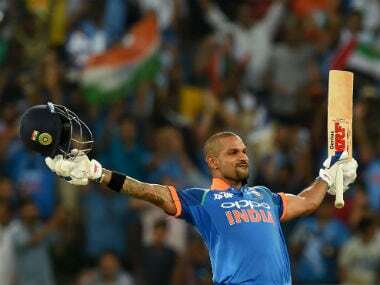 This emphasis has made natural stroke-makers like Dhawan, Pandya and Pandey rethink their strategies in limited-overs cricket. It is not all about going hammer and tongs from ball one just because your ‘natural game’ encourages it. The mindset has brought in better understanding of the game without curbing their natural instincts. That kind of realisation has resulted in better partnerships and more value placed on one's wicket. Among India’s top seven in ODIs, most enjoy great camaraderie with each other, reflected in the sort of partnerships they have had. From Ajinkya Rahane-Sharma to MS Dhoni-Bhuvneshwar, most of India's partnerships average in excess of 50 since the last ODI World Cup. Partnerships have always been critical for piling up big scores and India have managed to do that quite a lot in recent times. While modern day cricket puts boundary counts over singles and doubles, India have cut out a separate path for themselves. India’s openers — Sharma and Dhawan or Sharma and Rahane — have been watchful upfront before slowly pushing up the ante once they are settled in at the wicket. In the middle-overs, considered the deciding period in ODI cricket, Indian batsmen have managed to combine rotation of strike with the odd boundary. The age-old concept of 'playing the ball on merit' is undergoing a resurrection courtesy this Indian ODI batting lineup. Unlike South Africa and England, who have 360° players like AB de Villiers and Jos Buttler capable of exploiting any kind of field, India have relied more on conventional cricket while still managing to pierce the gaps and put the fielders under pressure. Quick running between the wickets has been a huge factor in the middle overs in ODIs. India under Kohli have placed a lot of emphasis on fitness and this is paying off for the batsmen in several ways. Not only has it enhanced the stamina of players in humid sapping conditions, but also enhanced their ability to convert singles into doubles and doubles into triples. The maturity and composure has also been boosted by the stress on fitness. Speaking on the renewed focus on fitness, Kohli had stated, "I realised if you want to stay on top playing three formats in this day and age you need a routine. You need a set pattern of your training, the way you eat, how healthy and fit you need to be. Being fitter made me mentally stronger. It was like a direct connection." Once Kohli shifted to his relentless current fitness routine, there has been no turning back. He pulled in his teammates and spoke about fitness at length, placing immense importance on it. 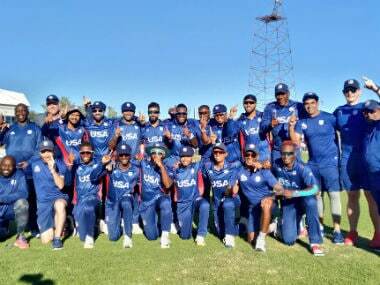 The mental aspect of the game was also sorted out and it has not only led to a fitter group of players, but also to better clarity in thinking. In run chases, Kohli’s logic has rubbed off on his teammates as well. He does not believe in taking extraordinary risks to bring the required run rate down. After all, four doubles equal two boundaries. Cutting out the dot balls and focussing on rotation of strike to constantly keep the bowlers and fielders on their toes has worked miracles. Unlike earlier, there is a different thinking within this Indian batting lineup in ODIs. The other day, Rahane got off to a brilliant start against the Aussies in which 31 of his first 32 runs came on the off-side. 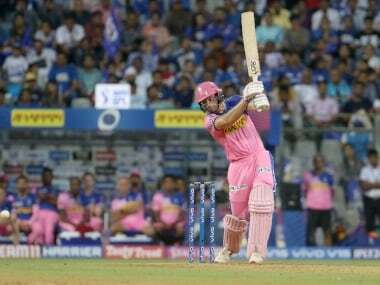 The Australian strategy was to pester him outside the off-stump with a packed off-side field, but Rahane continued to play to his strengths rather than try something innovative and get out. They stuck to a similar plan against Kohli as well and the Indian skipper countered it with his little trigger movement, reminiscent of Hashim Amla, to work the ball around. This thinking has led to a more confident group of batsmen who are comfortable in any role given to them. Even in the face of batting collapses, the panic button is rarely set off as batsmen understand and continue playing to their strengths. Mindset has played a gigantic role in the transformation of Indian batsmen to consistent monsters. After the Sri Lankan series, Rahane spoke with Tendulkar and the legendary former player spoke at length about mindset. "'You need to work on mindset — because the better the mindset, the better you do on the field'. He did not tell me anything much about the technical stuff. He mostly spoke about the mental preparation — about aggression etc," Rahane said of his chat with Tendulkar. 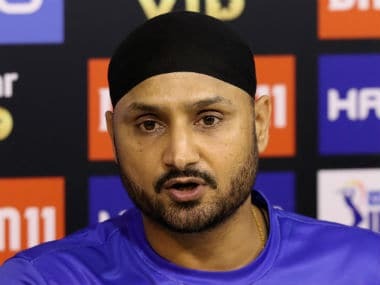 The kind of ease and flexibility Indian batsmen have displayed in recent times in ODIs is a direct result of this change in attitude and mindset. They are no longer under the constant pressure of being targeted or criticised. The batsmen have identified and created their own bubbles, within which they lay out their game plan. That they stick to their bubbles does not mean India do not have those cameo knocks which alter the course of matches. Who they come from, however, depend on match circumstances. The bubble is rarely popped because of the flexibility in the batting lineup. With this kind of system in place, it is inevitable that new players adapt to the environment and mature rather quickly. "Our goal is to be become better people along years of playing together. Friendships to last. Most exciting thing is everyone is young building careers together. If things fall in the right place, this could be a great phase for us," Kohli had stated a year ago. The bonhomie inside the dressing room has taken off and made India a mentally tough, united group. Unlike common perception, psychology states that maturity is independent of age. It is the ability to react, cope and reason in an appropriate way for the situation. This Indian batting lineup has mastered that art to perfection.